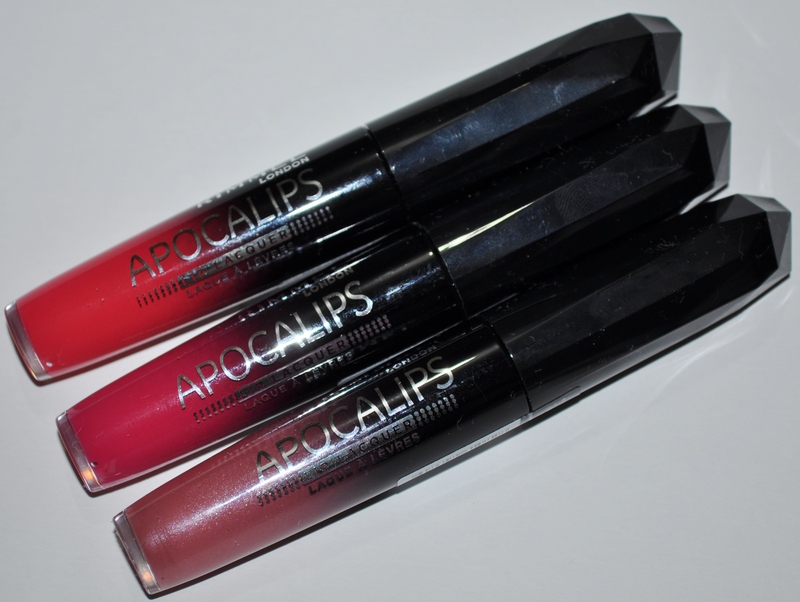 I’m making my way to Canada and the USA next week so I promised myself that I would go on a spending ban but these Rimmel Apocalips glosses were just too good to pass up at $7.97 each. They’re currently on sale at Priceline but are still cheaper in the US at $4.99 each. 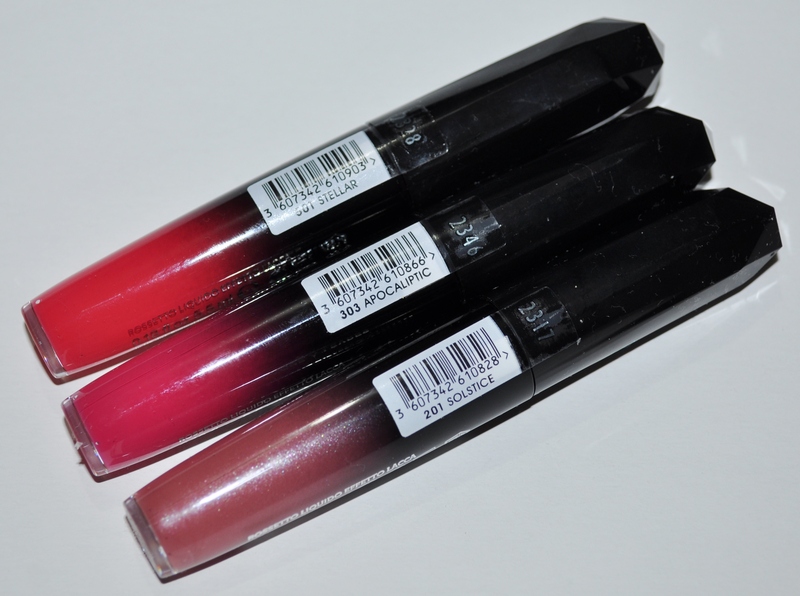 This product seems to be Rimmel’s answer to the wave of lip lacquers that have been hitting the shelves but to me this is just a really opaque lip gloss. Luckily the tube has a really good stopper which takes a lot of product off the applicator before you apply. The applicator is self is a doe foot with a little scoop in it which traps the product. 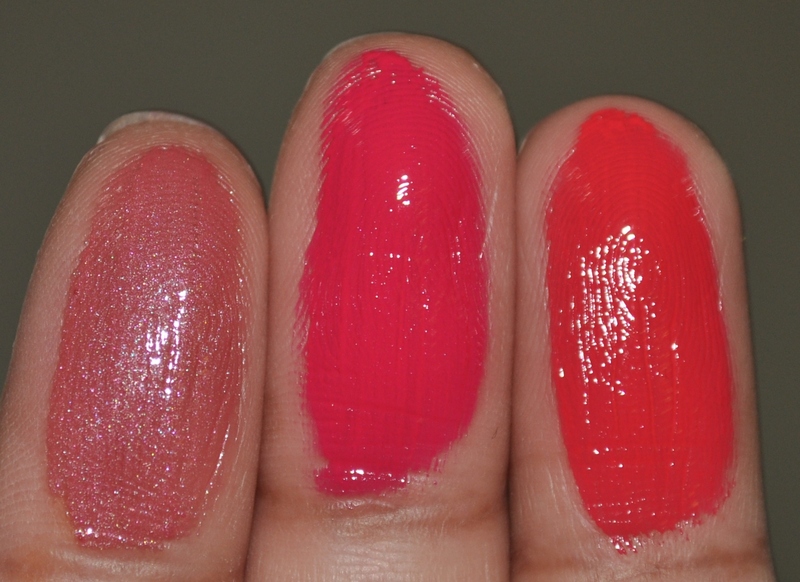 I picked up the shades Solstice, Apocaliptic and Stellar which I’ve swatched below from left to right. This shade is not one that I would usually buy as it’s so tame but this rosey- mauve shade was just such a lovely ‘my lips but better’ shade that I couldn’t resist. 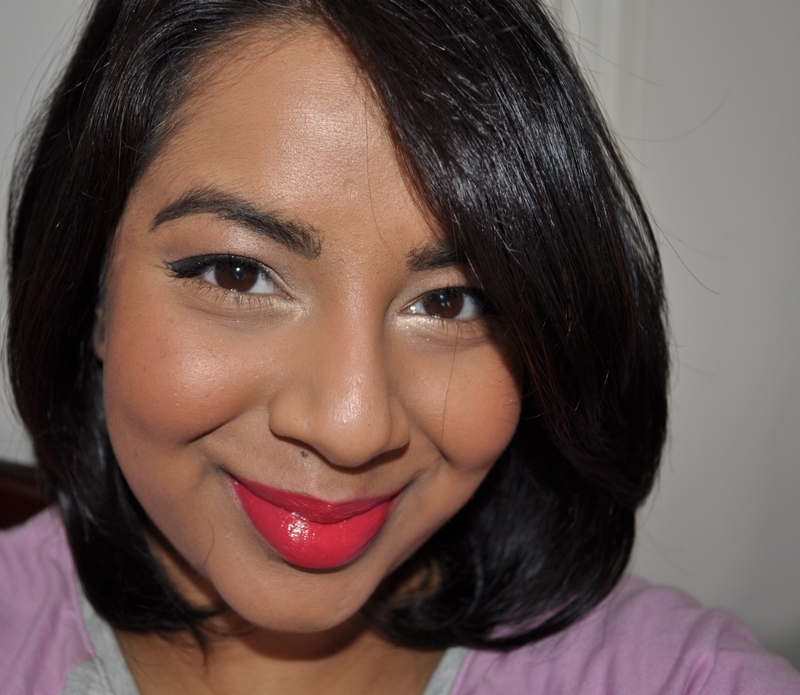 It evens out my lip colour and gives a very demure look that I love. The formula also really works in this shade as it’s such a natural colour and I found it really easy to apply. 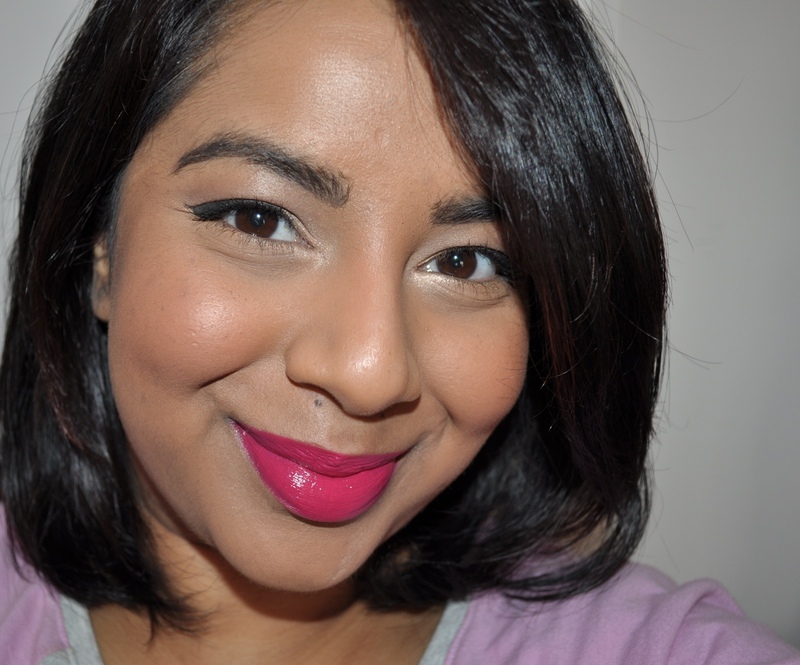 This is a shade that I had to get because I can never resist a bright pink! It’s such a lovely pink as well that treads the line between red and pink. The formula of this makes this shade tricky to apply though and I struggled to get this on neatly with the included applicator. 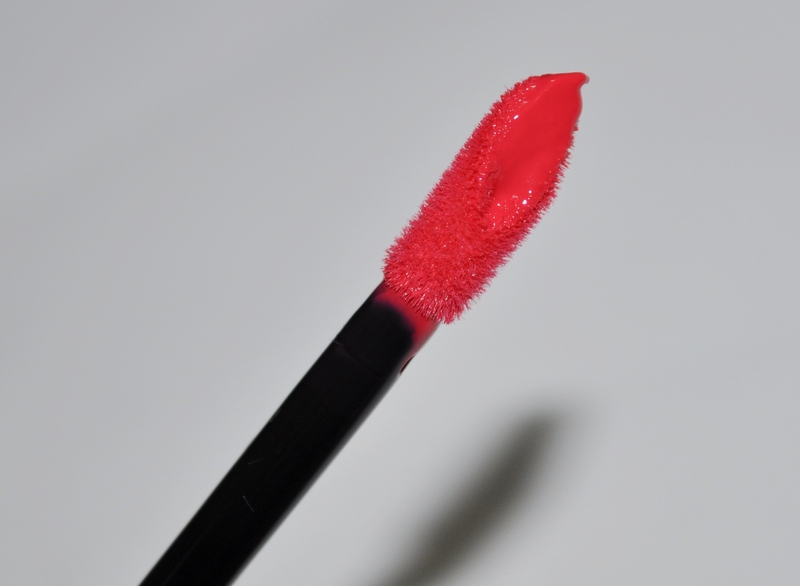 This is such a lovely bright coral shade and perfect for spring/summer. 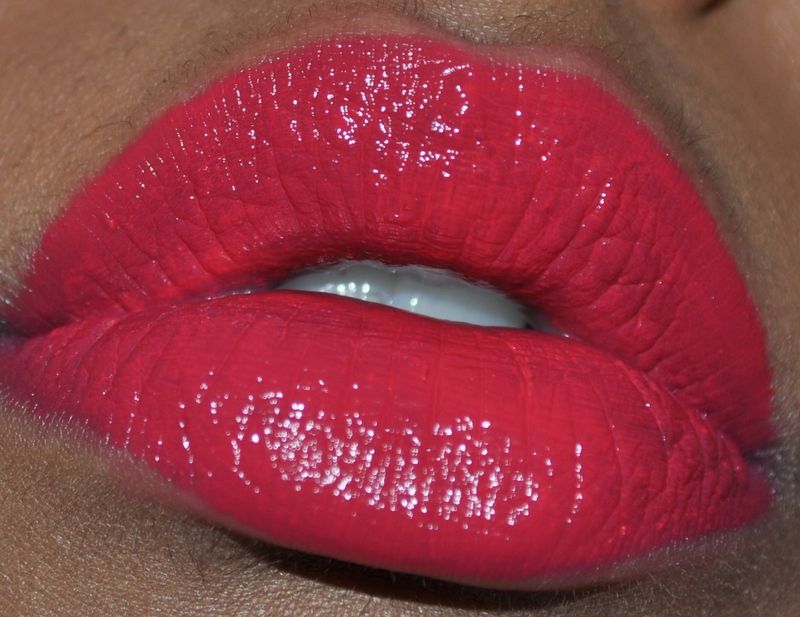 I had the same application issues with this shade though due to how opaque the colour is. There are two major issues that I have with this product- it doesn’t dry down at all and the smell is horrible! Even though this is marketed as a lip lacquer, it doesn’t function like any of the lip lacquers I love (YSL Glossy Stain, Loreal Caresse Lip Stain Gloss) as it has no staining power and it doesn’t have any lasting power. As you can see below, the colour has totally worn off after I drank some water. 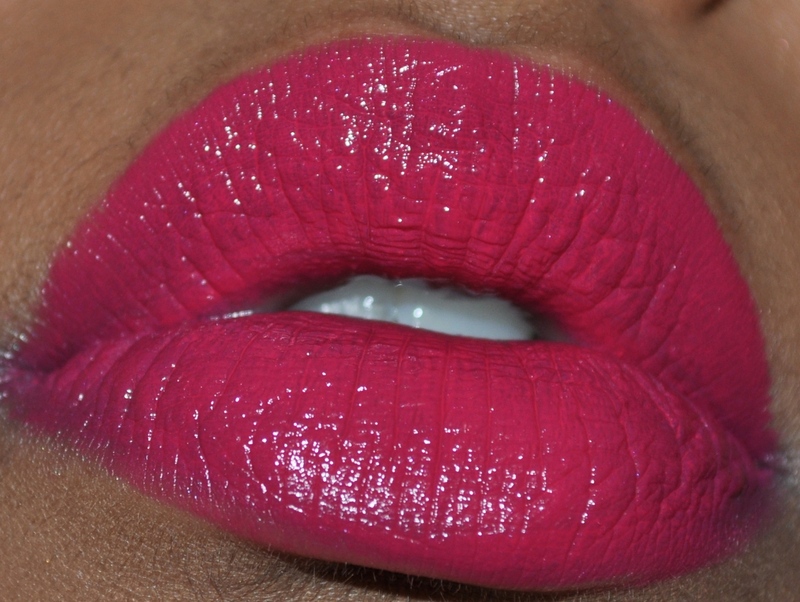 You can try and fix this problem by applying a lip liner underneath like I always do when using a coloured lipgloss. The smell, on the other hand, can’t really be fixed so beware if you’re sensitive to scents in lip products! The smell is some type of fruity scent but it’s not pleasant and I’ve had lots of people smell it and they seem to agree. The scent does go away after a while though so it’s bearable if you love the shade enough. Overall I thought the product was ok but it didn’t rock my world. 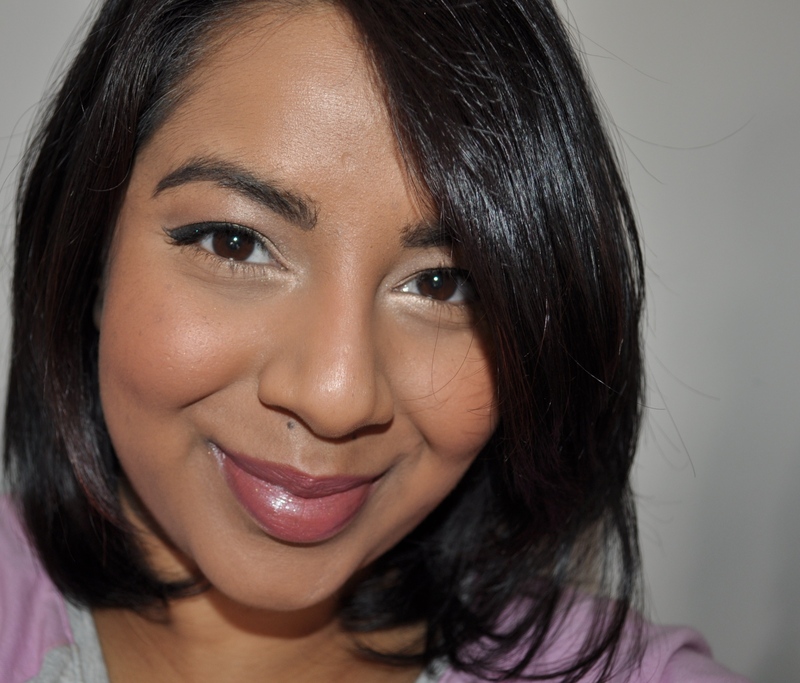 I did love the Solstice shade and assume that this formula will work well with any of the other more natural shades. With the very intense shades though, get out some lip liner and be prepared to touch up regularly unless you want to avoid eating and drinking through out the day! 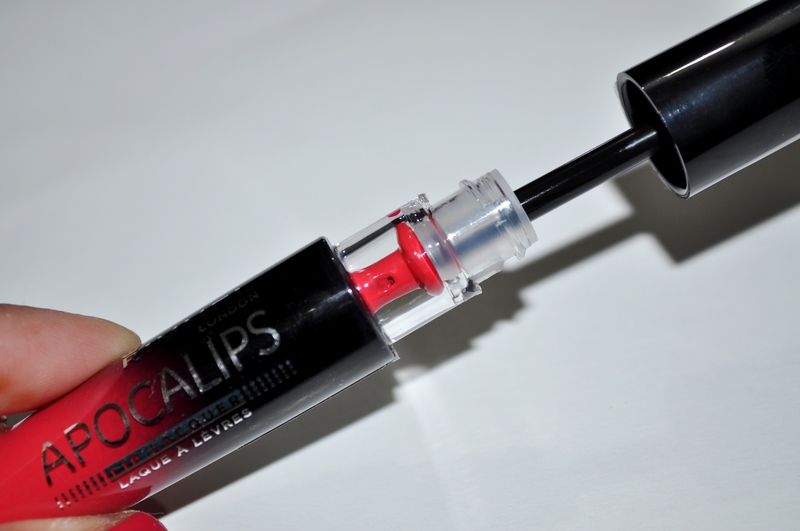 Have you tried the Rimmel Apocalips range? What do you think? Bugs, I really love your blog. Your reviews are so honest and you seem like a really down-to-earth blogger, which is great. I just wanted to say that your skin looks so amazing in this post! Truly! Please post more often! After “silently” reading your blog for about 2 years now, I just realized you’re almost exactly my colouring, thereby making it so much easier for me to shop online! I’ve read so many positive reviews on them that don’t mention the smell that I was beginning to wonder whether I’d imagined up the scent but glad to know other people smell it too! Hope you have better luck with your next lippie purchase!